How did this neck pain sufferer get back to what he loves? "I can use the app on my schedule and it solves my neck problem"
Reach: How long were you experiencing pain before you found Reach? Stefano: I’ve had neck and upper-back pain for a very long time - it feels like forever, but originally started when I was a teenager - it’s a chronic pain that comes and goes. I recently had a baby and with that comes lots more lifting than usual and my pain has become much worse again. Reach: Is there an activity or something which the neck pain is stopping you doing? Stefano: The most important thing to me is that every time I did something with my baby, it hurt. I found that really upsetting and it often put me in a bad mood. I also like swimming quite a lot which is usually okay to do, but lately with the high level of pain I’ve been experiencing, it’s stopped me enjoying it and I was missing my swim sessions daily. Reach: How did it make you feel to miss out on those activities? Stefano: Swimming, as with any sport I suppose, is great for relaxation and taking my mind off daily life by giving me something else to focus on. When I’m without exercise, I feel more stressed and my temper is affected. Reach: When you found Reach how did the app meet your needs? Stefano: For me, I tend to procrastinate seeing a physio when I’m in a high moment of pain because I know how unlikely it is that I’ll be able to see one the next day and I struggle to find time in my calendar. Using Reach allowed me to answer a few comprehensive questions for them to understand what my problem was and then they immediately delivered a series of exercises that I could do at home or at work. In simple terms, Reach is: pain; research; program - very fast. ‍Reach: When you were giving feedback or asking the Reach Physio's questions, how responsive were they? Stefano: The Reach Physio's were much faster at responding than a physio that you need an appointment for! Using the in-app Chat feature, I just felt like there was somebody I could contact and talk to if anything was wrong or I was unsure about an exercise. In reality, I only used the Chat function a couple of times, but it was good to know that a qualified physio is there within reach. Reach: Was there a reason you choose Reach over traditional physio? 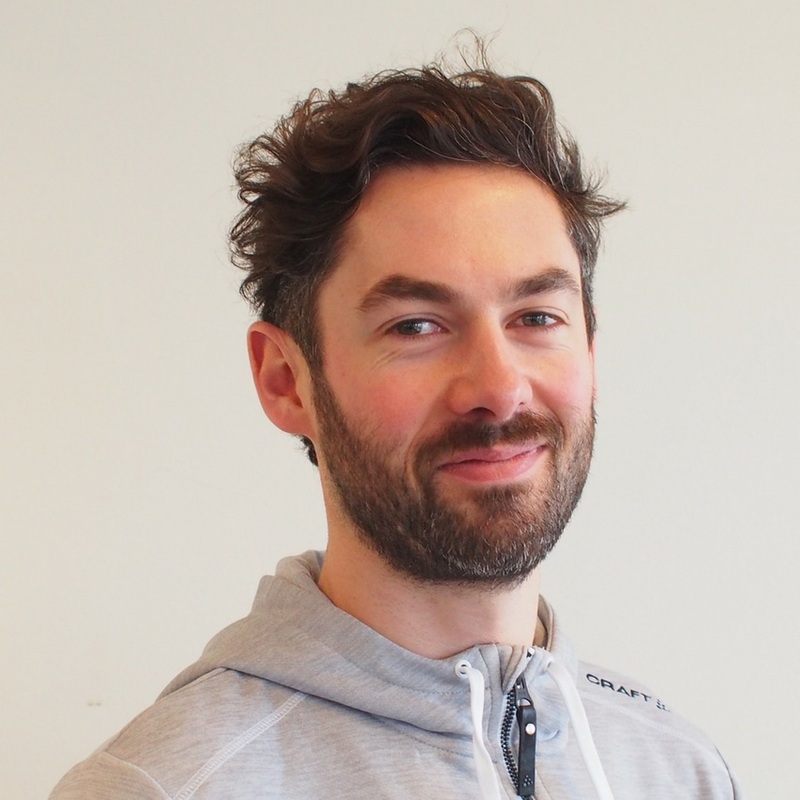 Stefano: The main reason I chose the Reach Physio App was for its ease of use, its convenience. I would typically do the exercises at home when people are sleeping, so I just needed to be able to access it in my own time and not depend on somebody giving me an unfeasible appointment in the middle of my working day, somewhere on the other side of town. Reach: What feature of the Reach App was of most value to you? 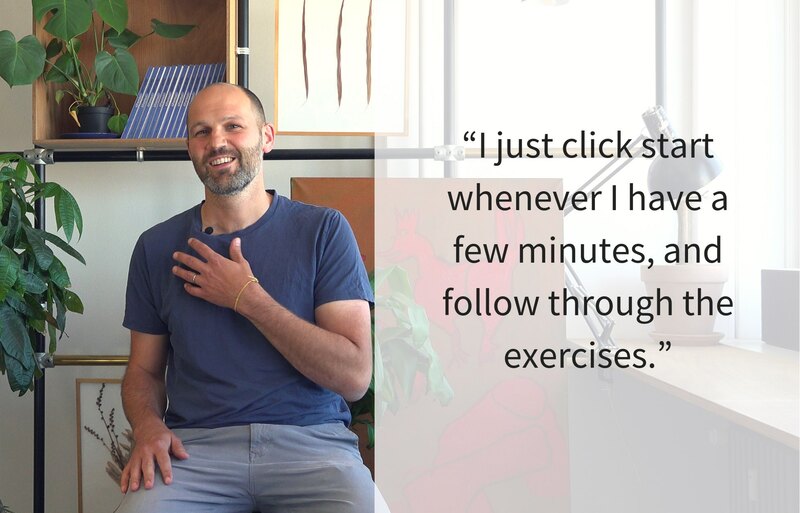 Stefano: Being able to open up the app and start my routine on my schedule was really valuable to me - I just click start, whenever I have a few minutes, and follow through the exercises. If I have more time, I can do a longer session, or if I only have a short time, I’ll do a shorter session - Reach takes the thinking and planning out of the equation. Reach: How has your pain been since you started using the Reach app? Stefano: Much better. In my case I feel it’s a lot about being persistent and doing the exercises. What I love about Reach is being encouraged to do something everyday, or at least often - for this reason alone, Reach really made an impact and I can feel the process working. Reach: Would you recommend Reach to a friend or a colleague? Stefano: My neck pain feels much better since using the Reach App and I can now do the things that I was missing out on, so of course I would recommend Reach! Stefano: In one word, I would say Reach is 'convenient'. It is by far the biggest thing for me - I can use the app within my schedule and it solves my problem of neck pain. If you’re suffering from neck pain and want help with getting back to your active best, then check our Reach Physio App, available to download in the App Store and on Google Play.